Google Apps for Education provides educators with a suite of powerful tools for teaching and learning. 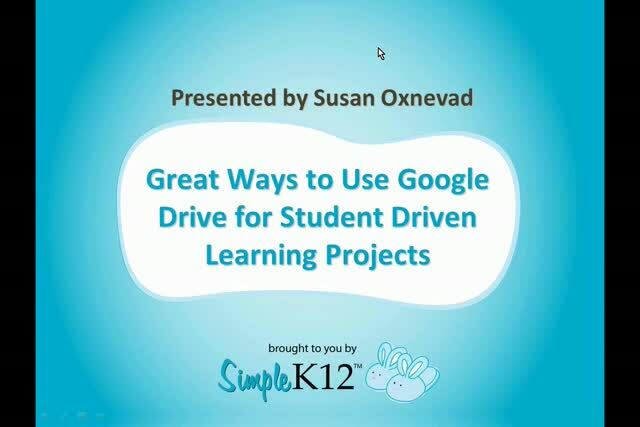 Join Susan Oxnevad as she explores many of the ideas in "12 Great Ways to Use Google Drive," a popular infographic packed with practical ideas and project ideas for leveraging the powerful features available within Google Drive. 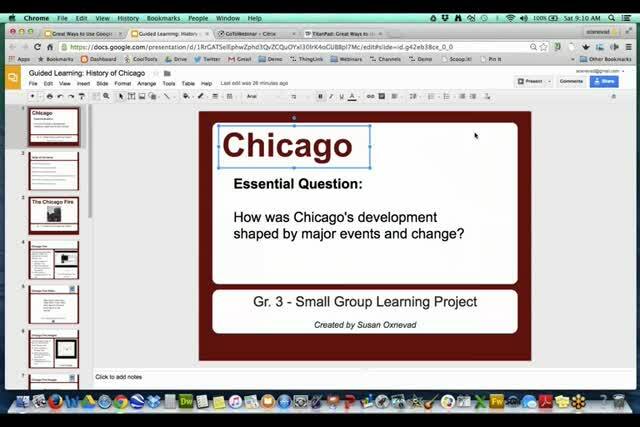 She will discuss using Slides to construct knowledge and share several popular differentiated group projects. In addition, Susan will share how to use the Research Tool to help students develop 21st century research and writing skills. Come discover all of these and more! Very informative, you make it look easy! 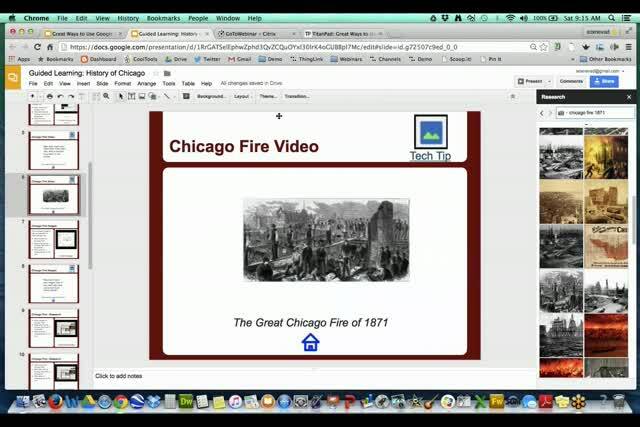 I liked the audio idea in thinglink. Great information for differentiated group projects. 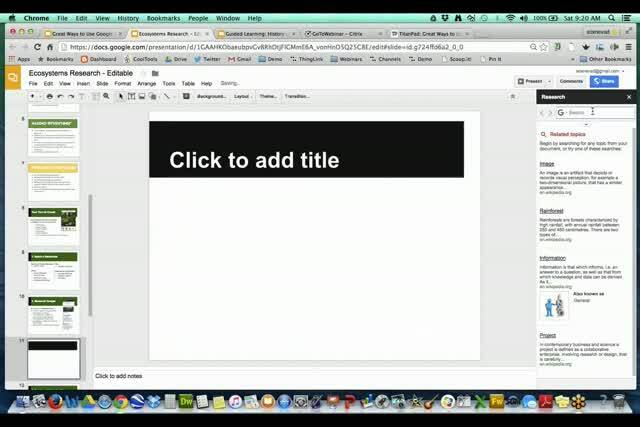 Thank you for the informative webinar. I really like how the examples you shared put the emphasis on the learning, not the end project. There are a lot of built in tools/resources within Google that I did not know about. Well organized presentation with useful ideas for students to be creative with research. 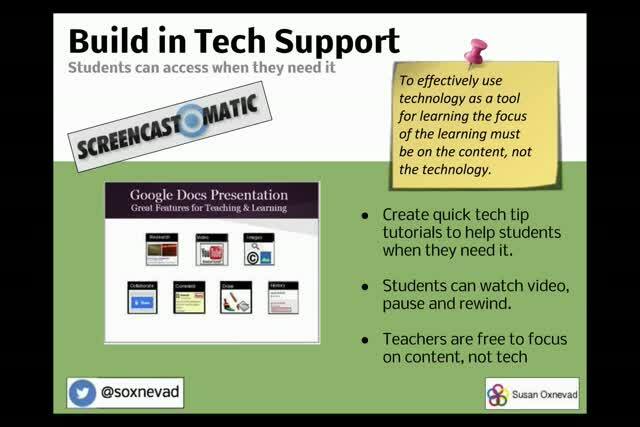 Great ideas on how to do projects with technology from day one of the unit. It helped me to think outside the traditional way of incorporating projects. This was perfect - so many great ideas!